LIQUIFFLEX™ liquefies between the hands changing from a great fragrance cream and facilitating easy, even dispersal through the hair, leaving hands dry to the touch. Great flexi-hold with no stiffness or stickiness, so great for most styles, especially quiffs. Lightweight product with even dispersal means it’s also great for creating volume with fine hair. 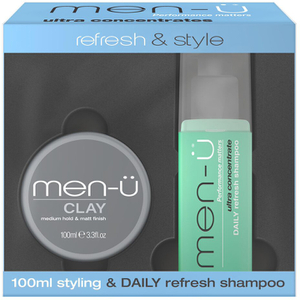 The reason why men-ü is so successful at introducing more men to quality grooming is because it is a modern brand with modern benefits & the products are different to make a difference! 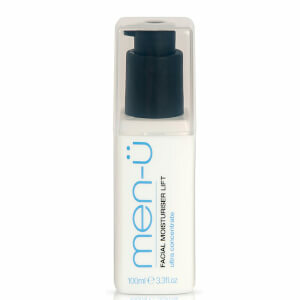 men-ü is a revolutionary line of high performance, ultra concentrate products – a little goes a long way! Concentrated formulae facilitate use of a high percentage of the finest ingredients and the secret is to get them to where they are needed without waste. The products fit neatly in the hand and into a man’s lifestyle, bathroom, sports or travel bag. The range is also complemented with Italian shaving brushes.